Excellent shots. It's nice to see trains on tracks I've only seen with no traffic at the times I've been there. 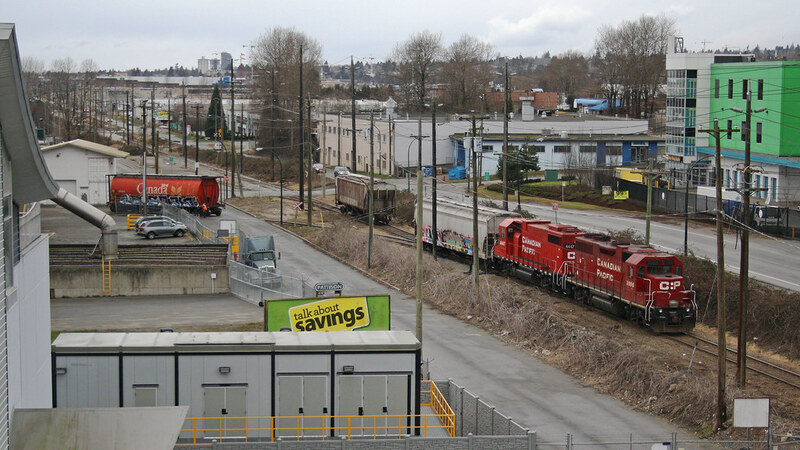 Recently I chased CP's Sumas Turn out to Huntington from their Port Coquitlam Yard. 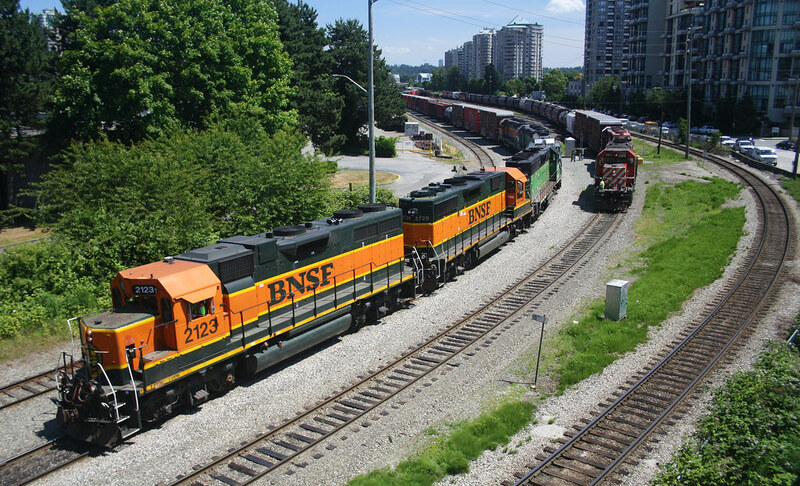 In this photo, the BNSF switcher has brought a few tank cars over the border to interchange with the CP local. I was beginning to wonder what had happened to you Vic! I finally have my enhanced Washington drivers license so I can cross the border and return without a hassle. 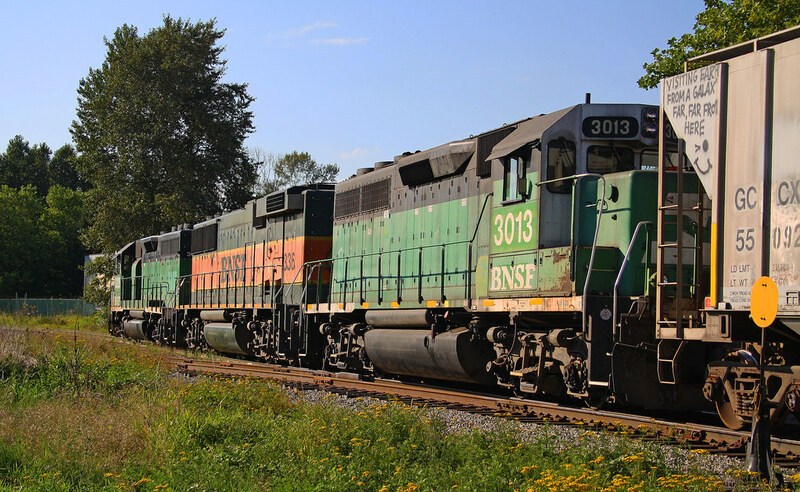 Hoping to go searching for the ex-MRL GP9's this September on the SRY. Anything new to report there? Sounds like Trapp Yard is the place to go. Oh I'm still around, Brian! SRY's roster hasn't changed, still running their museum worthy fleet. Trapp Yard is the main classification yard for SRY and their engine facilities are located there as well so it would be your best place to start. 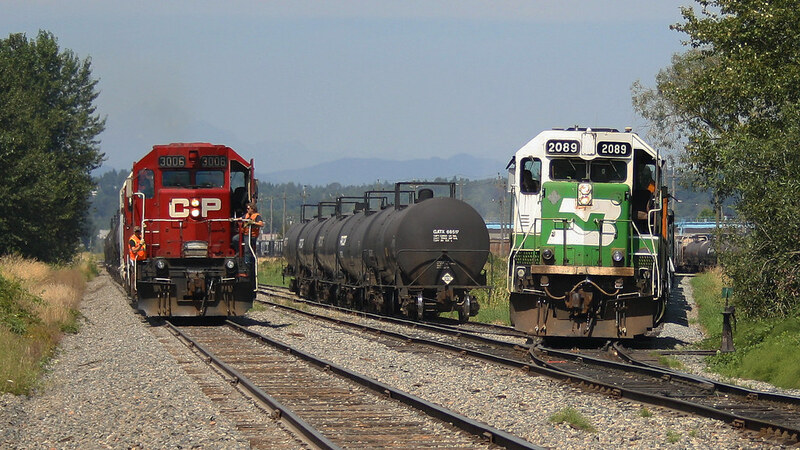 Their deadline is there as well as stored locos, might be some ex-MRL GP9's in that group too. 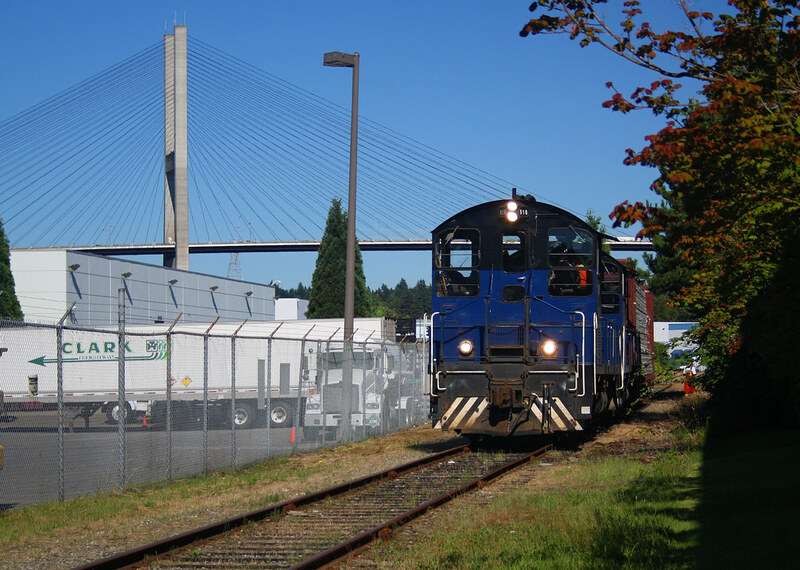 I'm hoping to get my passport done next week and then make a trip to Seattle and Tacoma later in September, I've been wanting to check out the branchlines and industrial trackage around there forever. I need something new to explore! How it will be amazing to travel through rural areas in one of these locomotive cabs.